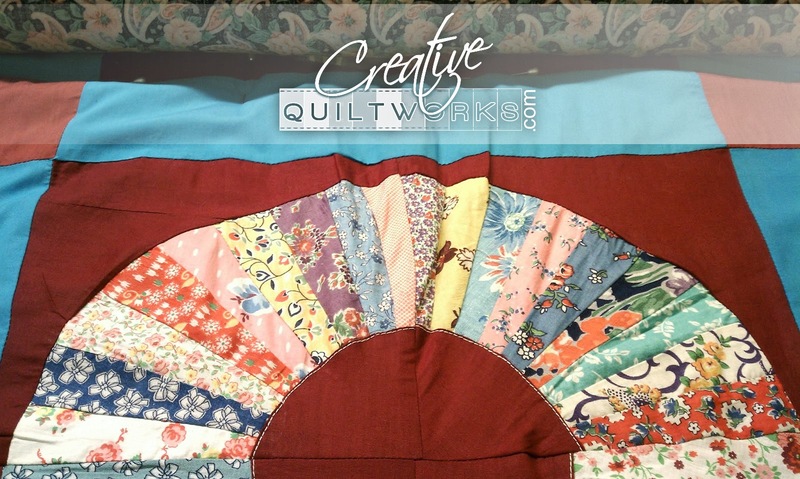 Lorri @ Creative Quiltworks: Wonky Quilt Solution - Trapunto! 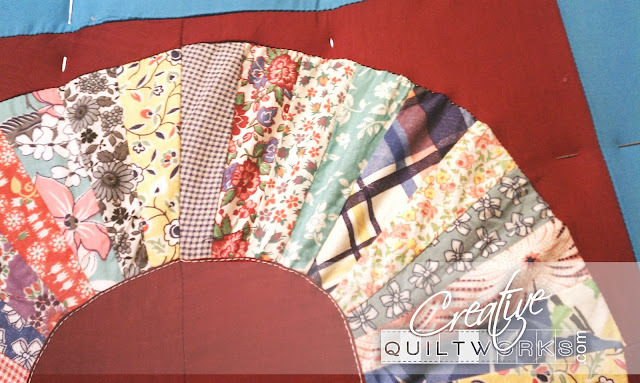 I received this treasured unfinished vintage quilt top for custom quilting. 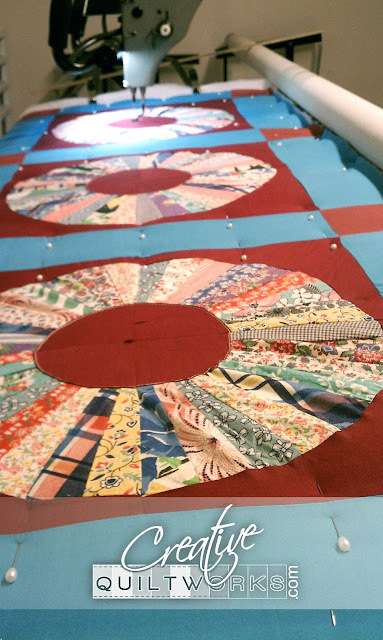 The top is hand pieced but has a little problem; there are too many pieces in the circles and the quilt top does not lay flat. This condition made it unquiltable. So, the top has been sitting in a box. Sad! Usually a box is all that ever happens with quilts with this problem. I have good news! Often it can be quilted! 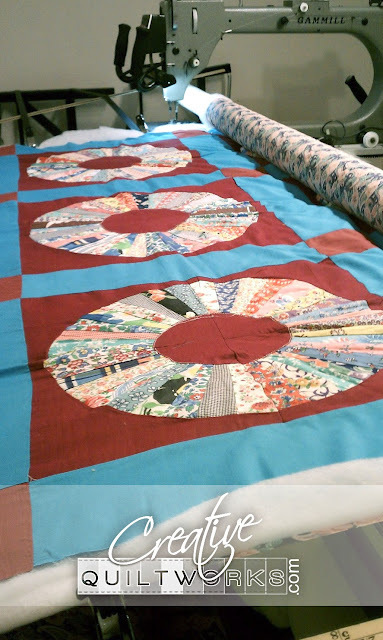 For this quilt the solution was a method called Trapunto. The basic idea for Trapunto is you put extra batting under the part you want to puff out more. Click here for a tutorial on Trapunto. So Trapunto is what I did. Here is a picture of the quilt on my quilting machine. Then because other parts were not square and accurate, I pinned and pushed things into place. Here is the quilt on my machine all pushed into place. Some places have more problems than others: This will not turn out perfectly, there is just no way. However, it will look good, especially after washing, and it will be out of the box and be able to be loved and appreciated in the way it was originally created to do.